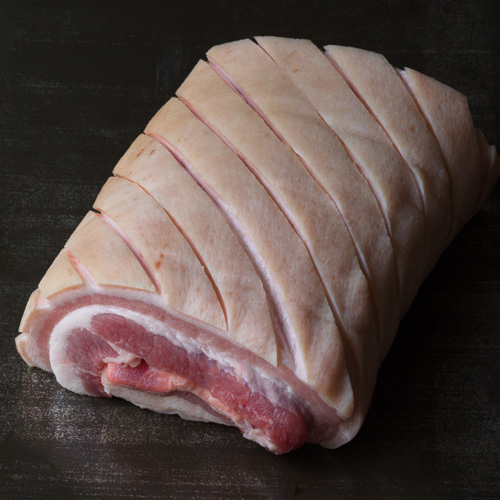 Tip Leave whole for frenched rack of pork. 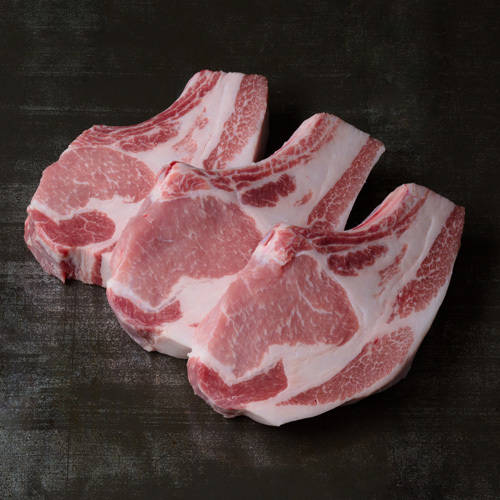 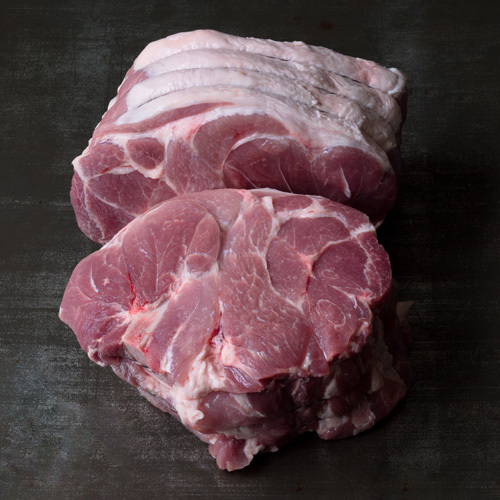 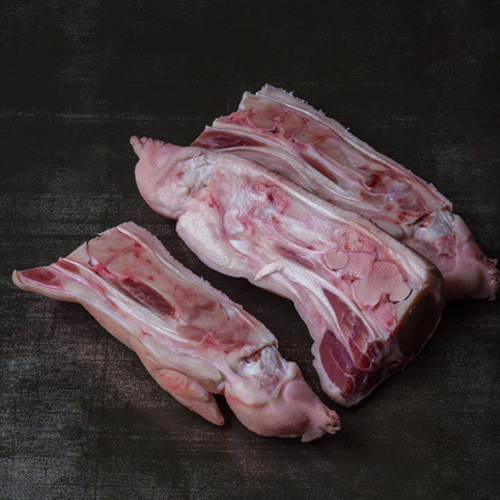 Pork rib chops are cut from the front portion of the loin, taken from ribs 4-13, and contain a moderate level of intermuscular fat(marbling). 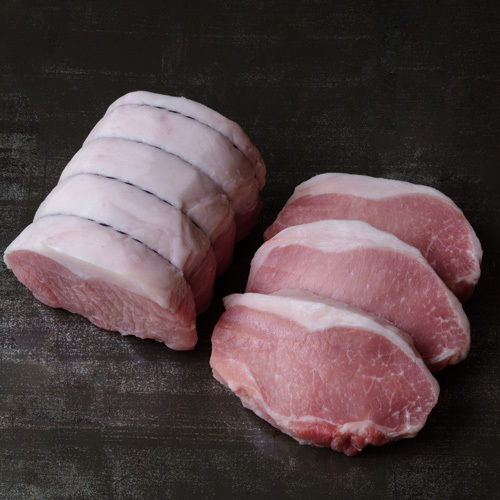 Very similar to pork loin chops(actually the same muscle on the animal), but slightly fattier, lending a full, luxurious flavor. 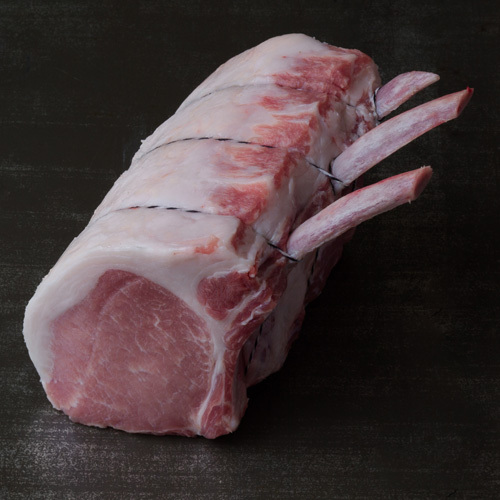 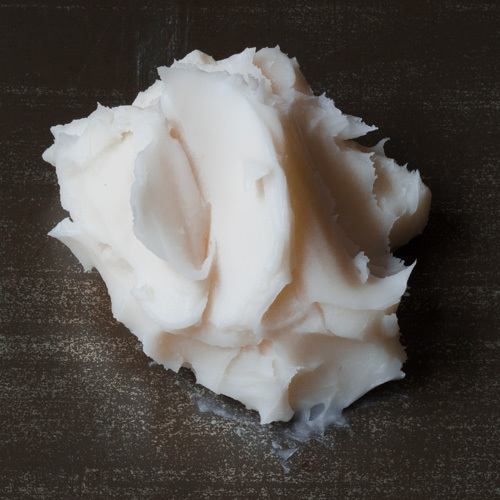 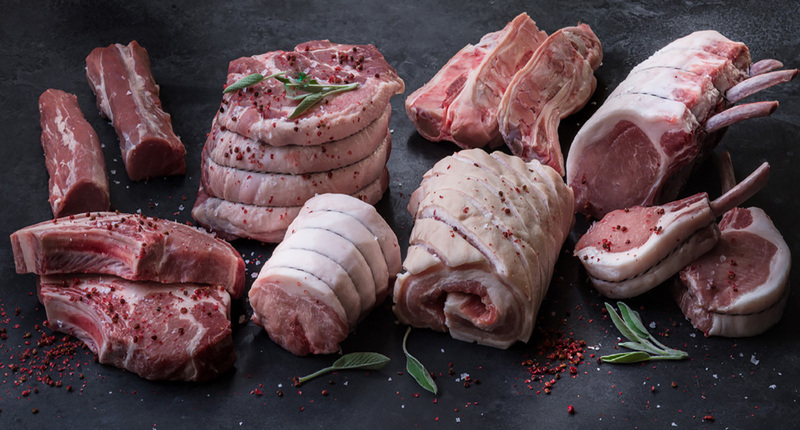 Best suited to dry cooking methods such as roasting or grilling, but also great left as a bone-in/boneless roast.